Onam is the traditional ten-day harvest festival that marks the homecoming of the mythical king Mahabali. 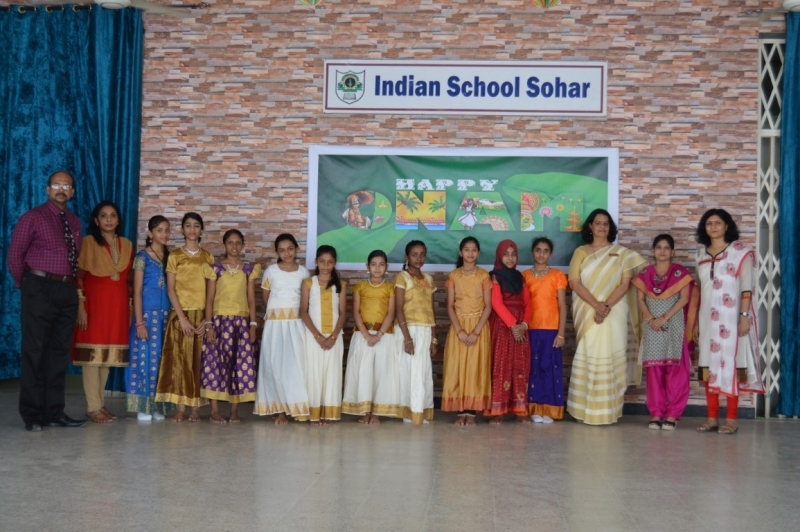 A special assembly was conducted in Indian School Sohar on 27th August 2018 to celebrate the same. The assembly started with a prayer song, followed by a thought and a speech on the day’s significance and its observance. The melodious song “poo vili” presented by the students reverberated in the school premises. 'Thiruvathirakali', one of the traditional dance forms of Kerala was performed by girls in the traditional costume, was appreciated by the audience. The Principal, Mrs. Sanchita Verma, addressed the gathering and gave away the prizes for various competitions namely Spelling Bee, Hindi Handwriting and Sudoku.The assembly concluded with the National Anthem.